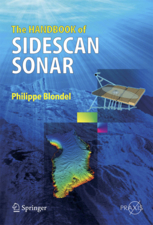 In this book many examples of the successful integration of geophysical surveys into the site investigation process are described. 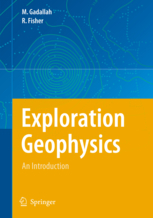 The authors are drawn from many different countries and the case histories presented clearly indicate the importance of geophysical methods in the construction history in a world-wide context. The Springer-Praxis Geophysical Sciences programme encompasses the very latest observations, research results, techniques and discoveries in the exploration of our Planet Earth. This Second Edition of Elements of Petroleum Geology is completely updated and revised to reflect the vast changes in the field in the fifteen years since publication of the First Edition. This book is a usefulprimer for geophysicists, geologists, and petroleum engineers in the oil industry who wish to expand their knowledge beyond their specialized area. In order to contribute to these new developments, Springer is providing a new platform as a publication outlet. This new book series has been created to provide a broader and integrated scope by merging several existing, more specialized book series. The new series, entitled "Modern Approaches in Solid Earth Sciences" is a timely response to the above described trend and is aimed at providing a contemporary outlet for innovative integration of disciplinary approaches to problems and processes in Solid Earth Sciences.